"I always look forward to my appointments with Dr. Fowler. They really seem to care about both me, and my smile." 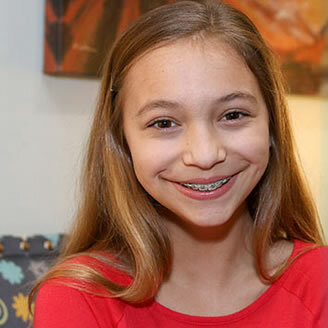 Keeping your teeth clean during your orthodontic treatment at Dr. Melanie M. Fowler Orthodontic Studio is one of the most important ways you can help Dr. Fowler achieve a fantastic smile. Plaque and food must be removed for a healthy smile. Dr. Fowler and our team will guide you every step of the way by teaching you proper techniques during your appointments at our New Iberia and Lafayette offices. You will receive a brushing grade each visit and if it is below satisfactory, we will spend time discussing with you how to improve on the areas that are missed. Reduce food and drinks that are high in sugar, especially drinks like Dr. Pepper and Mt. Dew, sports and energy drinks, and fruit juices. Dr. Fowler recommends that our patients brush for at least two minutes, three times a day with a soft-bristled, small-headed toothbrush and fluoride toothpaste. Some patients like to brush after every meal, and we applaud them! As an alternative, you can use a powered toothbrush to increase your brushing effectiveness. Brush the outside and inside surfaces of your teeth using small, gentle, circular motions while positioning the head of the toothbrush at a 45-degree angle to the gum line. Brush your teeth’s chewing surfaces and the inside surface of your front teeth using short, gentle, back-and-forth motions. Pay close attention to the areas around your brackets or other appliances. Flossing is quite important as well, and Dr. Fowler recommends flossing at least once a day before bedtime. Flossing after every meal will help keep your teeth and braces clean, which will also help keep your treatment time on track. To floss with braces, use a floss threader or special orthodontic floss to thread the floss behind each wire. Wrap the ends of the floss around your pointer fingers of both hands, leaving a few inches of taught floss between them. Gently slide the floss between each set of teeth using a back and forth motion. Floss the sides of each tooth beneath the gum line to remove plaque and food particles. Repeat this process until you’ve flossed all of your teeth. If you find that your floss is not removing all of the food particles between your teeth and around your braces, ask us about a water flosser!